We would like to welcome Mr. Rich Fanning to our team. 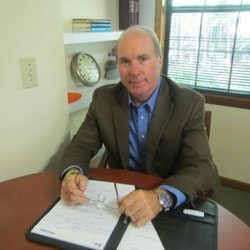 Rich will be serving as president of MCE and will be helping us to grow our company through new services, continued client focus and by adding new service areas to our existing current locations. Rich brings many years of management and leadership skills and will be a great asset to our company. “I’m thrilled that Mill Creek environmental has achieved so much and become one of the top environmental services companies. I’m indebted to all of the customers and partners who have supported us over the last 18 years and delighted that Rich shares my commitment to producing work of the highest standard.” states Dan Centofanti. As for me, I look forward to my continued involvement with the company’s customers and projects, as Vice President and technical director.